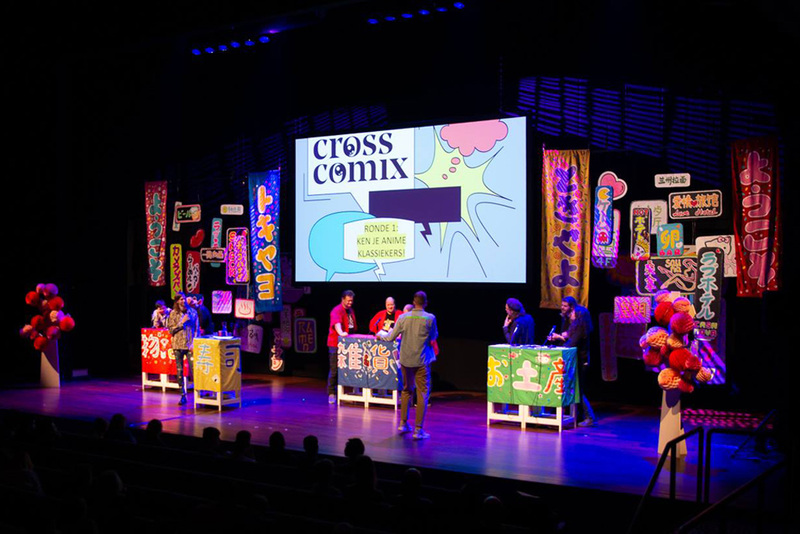 Cross Comix is an 1-day crossover festival between comics, music, fun and media at Theater Rotterdam. This was the 3rd edition. 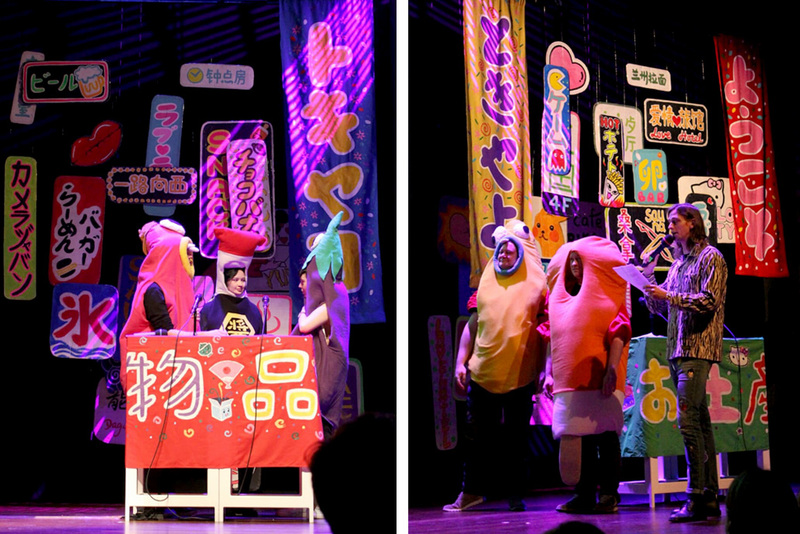 We made the colorful game show decoration for the interactive ‘Tokyayo Game Show’, which was about the Japanese (comics) culture. 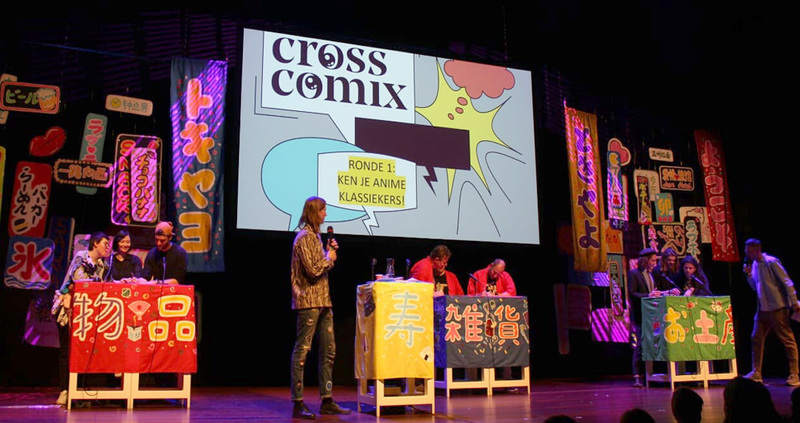 The game leaders of the show were Pepijn Adriaan “Faberyayo” Lanen and Steven van Lummel.